How much is the right price for owning cricket in India? This week’s e-auction for India cricket media rights throws in some pointers. With Star India outbatting its two opponents, Sony Pictures Networks and Reliance Jio, with an offer of Rs 6,138 crore, the maths show a per match cost of around Rs 60 crore over the next five years. This has surpassed the Rs 54 crore for every IPL game that the same broadcaster is going to pay over the same period to the Board of Control for Cricket in India (BCCI). While the Reliance team had backed out of the race earlier, a Rs 19.51 crore raise was sufficient for Star to pip Sony once again. These are the facts of the case. But the statements by both the Star and Sony camps after the auction was over are more significant to understanding the number-crunching that must have gone into the bids. All post-auction talk suggests that Sony had set themselves a target in the region of Rs 6,000 crore, while Star was ready to shell out much more than their winning bid. Which means that Star had entered the auction with a clear thought process – come what may, we are going to outbid any figure which our opponents throw at us; the only motive is to win. Whether it makes business sense or not, whether the money can be recovered or not, will be worked on later. Or, they had it worked out, knew their cards added up right, and were just going through the motions, taking the auction to its logical end where there could be only one winner. At one level, the strategy makes logical sense too. If Rs 20 crore is the difference over five years for the same property and over 102 matches, then it is good play to keep raising the stakes to drive out the opponent. What is valuable at Rs 6,118 crore for Sony or anyone else should definitely be worth Rs 20 crore more. Realising that Sony would buckle under pressure, Star always indicated that they were willing to go all in. This definitely worried the Sony camp and they decided to exit before they got drawn into a price which they would have difficulty explaining, and wouldn't be comfortable managing over the next five years. Does this mean that the Star team is more capable of raising these kind of revenues than the Sony officials, and the executives from the 21st Century Fox subsidiary are more in control of certain market dynamics and its implications that the Sonyites? On­ly the next five years will tell, but it is clear that Star is unfazed by the numbers they are pledging to own Indian cricket. Having committed Rs 16,348 crore for IPL earlier, the task is cut out for Star's sports team. No one in the industry will be envying them, for sure. But is it such an insurmountable task? 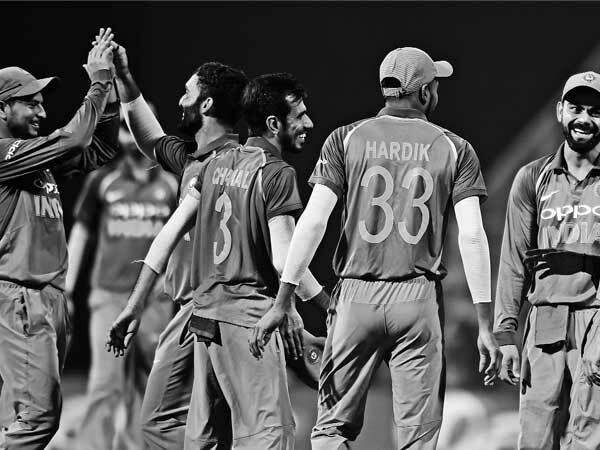 While the advertisement rates are unlikely to grow beyond a point, or grow as per expectations, despite having a monopoly over broadcast of Indian cricket, what will matter most for Star is the growth of subscribers from both the television and digital platforms. Here, the schedule of payout plays an important role. The per match cost hovers around Rs 46-47 crore in the first three years, and rises to around Rs 77 and Rs 79 crore in the fourth and fifth years respectively. The first three years are in line with current rates, and the broadcaster should not have much problem meeting or even surpassing targets. This means the broadcaster has to raise around 2,950 crore in the first three years, and Rs 3,190 crore in the next two. The difference is around Rs 30-odd crore per match in the final two years, assuming that they just manage to meet ends in the first three. With the control they will have over cricket and the emergence of a more digitally-oriented consumer, this should not be a great task for Star. Their digital platform, Hotstar, is already the leader in Over the Top (OTT) video consumption. With growth in digital advertising and subscription on the rise, Star will be confident of achieving these numbers. This explains their CEO, Uday Shankar’s statement that the buy was well within their calculations. With such power over live cricket in India, also comes the confidence that one has a clear five years to gain a stranglehold over the game, which has become the go-to vehicle for marketers to reach target audiences across geographies in the country. The sport also becomes the fulcrum around which the broadcaster can drive regional growth and establish itself in markets dominated by local players. There are also the intangible benefits of being a monopoly, which converts into revenue in other areas. With the BCCI mopping in nearly Rs 30,000 crore in media and sponsorship rights, of which nearly Rs 22,500 crore is being contributed by Star, the board will also be ensuring that its broadcast partner gets more than enough so that they can make sufficient money till the next bid. That is the only way to make certain that the values of their properties rise and attract more in the next round in 2023. It is a partnership where the board has much to lose if the broadcaster’s numbers falter in this five-year cycle. As Star makes its big bang entry into the Indian Premier League (IPL) today, be certain that the only team that will be sitting pretty and confident of victory is the one captained by Shankar.